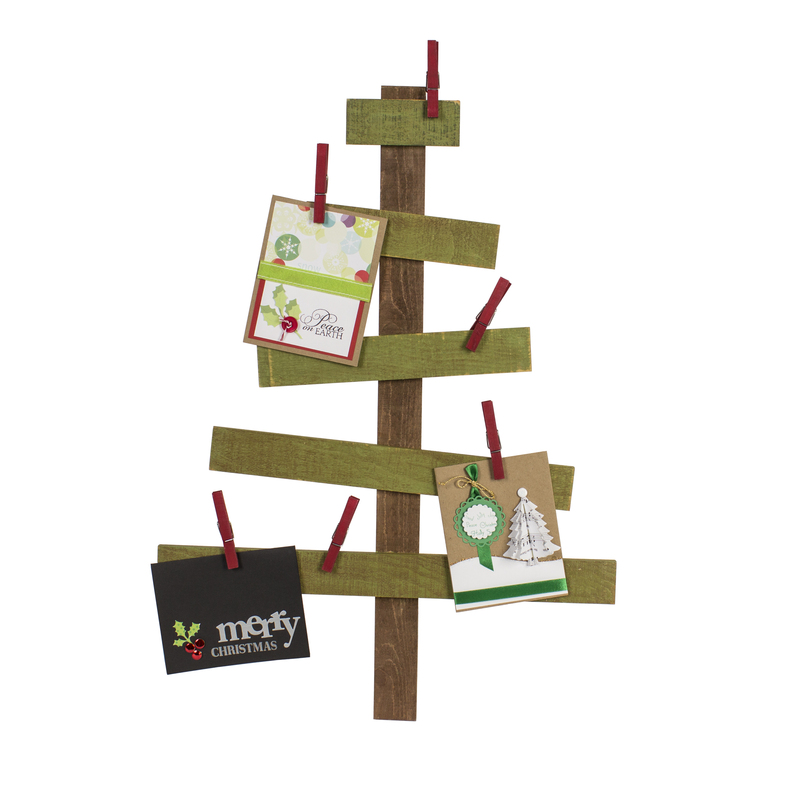 I was so excited when this Rustic Tree became part of our Rustic Pallet Program! I thought of many ways to use it, but decided that I’d better create one for the upcoming Holiday Season before moving onto other ideas that are a little less traditional. On Facebook the other day, I was reminded that there are only 16 weeks until Christmas. Yikes! Time to get things started………. 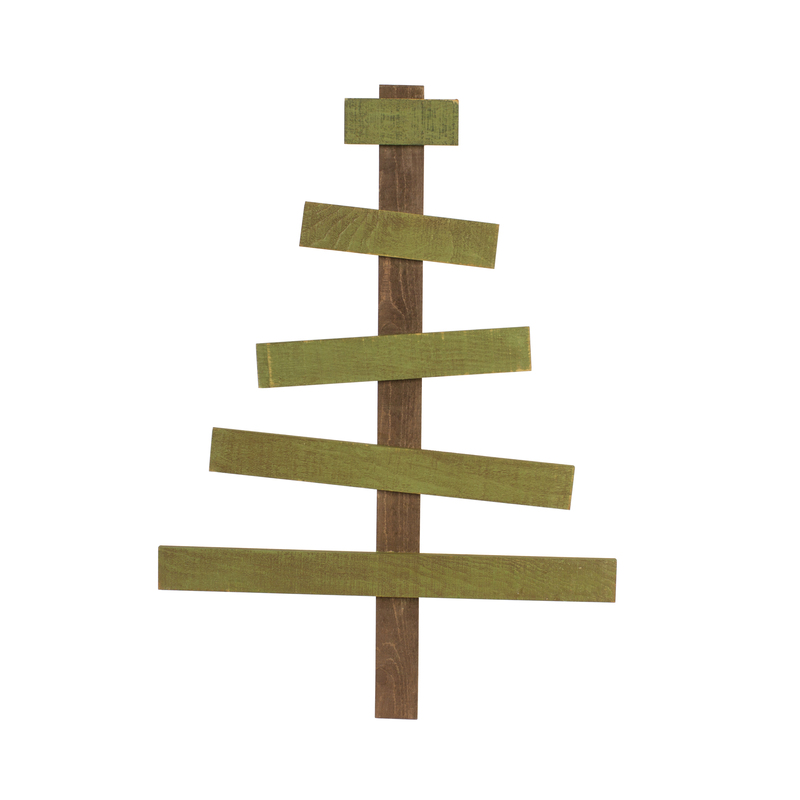 Paint the trunk of the Tree with a large flat brush and a wash of color – I used DecoArt® Americana® Dark Chocolate with water. 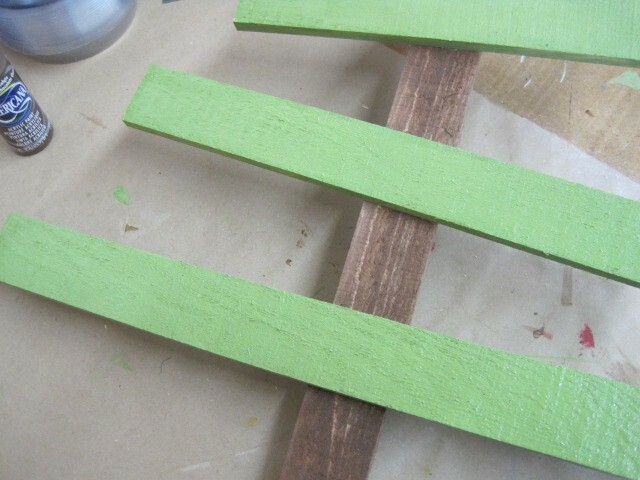 Paint the green branches with DecoArt® Americana® Hauser Green. 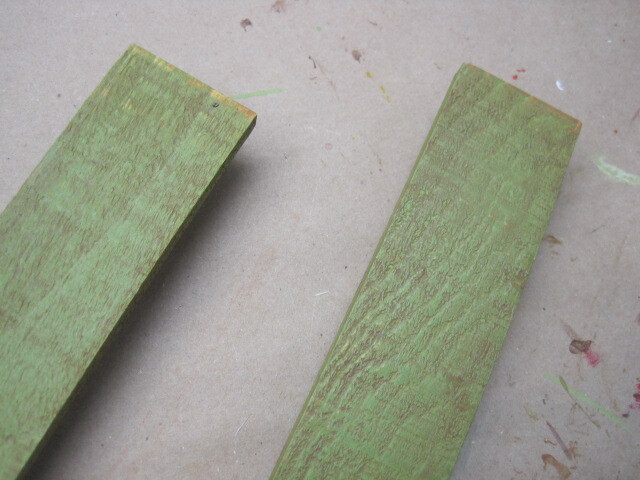 After the branches are dry, use a sanding block or an electric hand sander to sand back the paint on the edges and other places on each slat to be antiqued later. Antique each slat with a mixture of Americana® Staining/Antiquing Medium™ and Dark Chocolate. 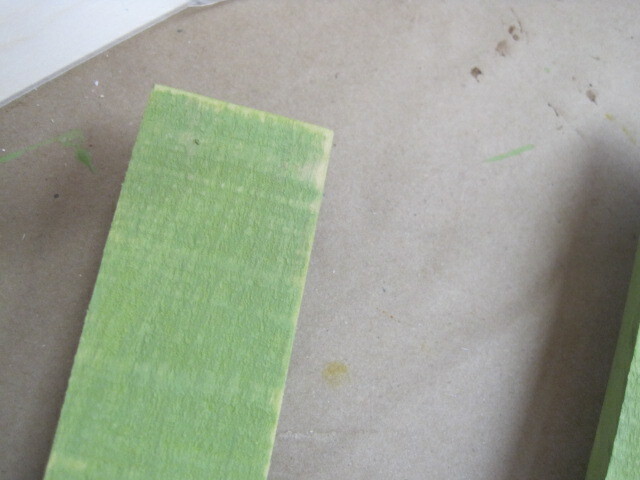 Brush the mixture onto each branch and wipe off the excess with a soft cloth. 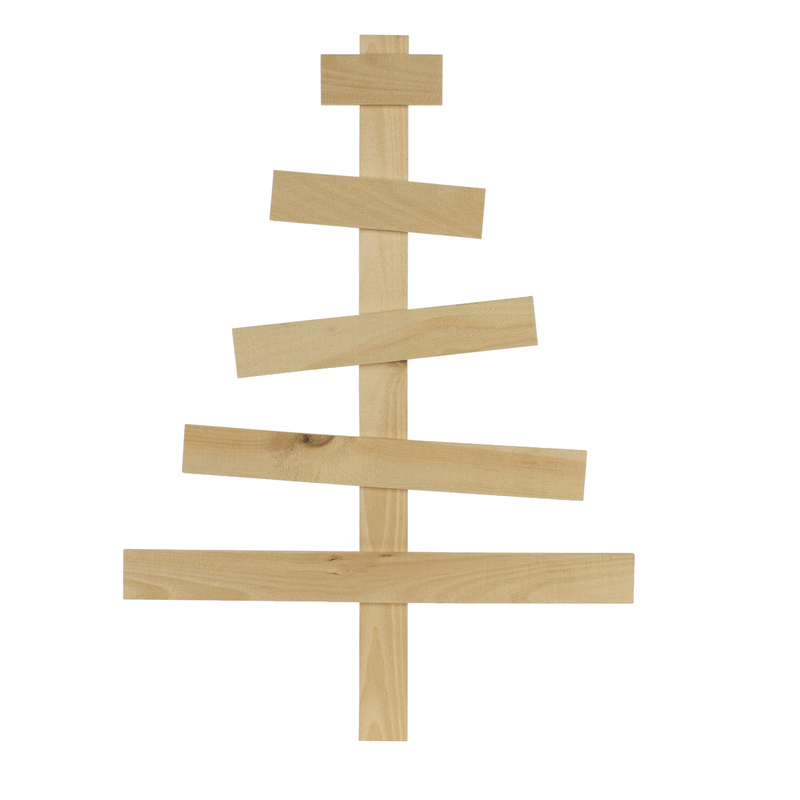 Your plain Tree should look like this. Take the clothespins apart. Use a medium flat brush to paint all sides of each clothespin with Americana® Décor™ Chalky Finish Rouge. 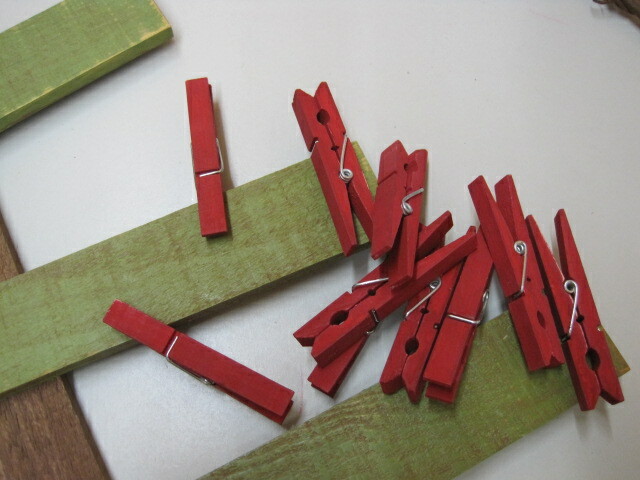 Once dry, put the clothespins back together – I find using a pair a needle nose pliers helpful for this step. Start clipping the Christmas Cards that you and your family receive as they arrive so you can enjoy them throughout the Season!